Q: What is the best way to convert ISO to AVI video? ISO is an archive file (you may also know it as dis image) of an optical disc. It covers all the data of files contained on the archived CD/DVD, or any other disc format. Many people love to save their favorite DVD as ISO files for backup on computer. However, ISO is not supported by most players and video editing software. So you may want to convert ISO to AVI so as to play ISO files on computer with Windows Media Player, or to edit ISO files with Adobe Premiere, Sony Vegas, Pinnacle Studio, etc. To do this, you need a tool that can read the ISO files and convert ISO image files to AVI video files. 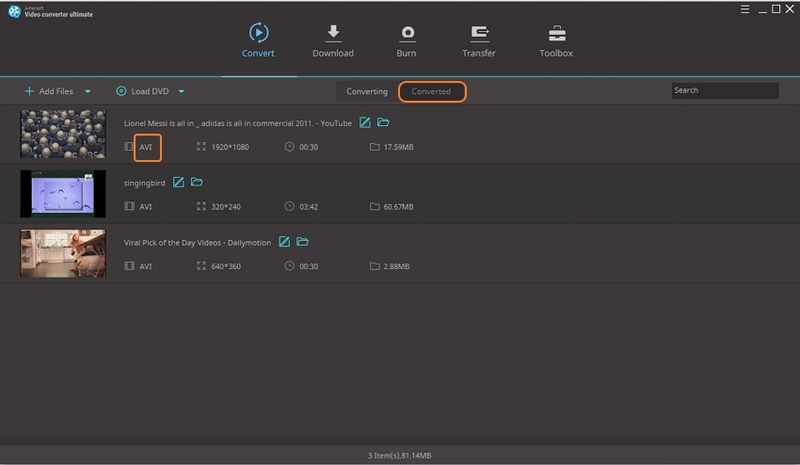 One of the finest solutions available for people who are looking to convert files ISO to AVI or AVI to ISO is Aimersoft Video Converter Ultimate . It is a professional DVD ripping software to convert ISO to AVI and all other popular video formats like WMV, FLV, MOV, MKV, MP4, etc. 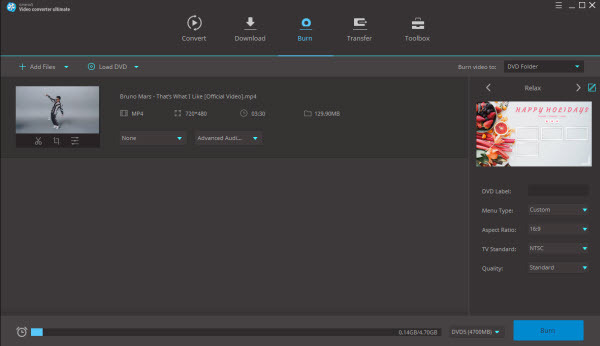 It also enables you to edit your video as you like such as trimming, cropping, adding watermarks and subtitle and so on. Convert ISO to AVI or convert AVI to ISO as easy as ABC. 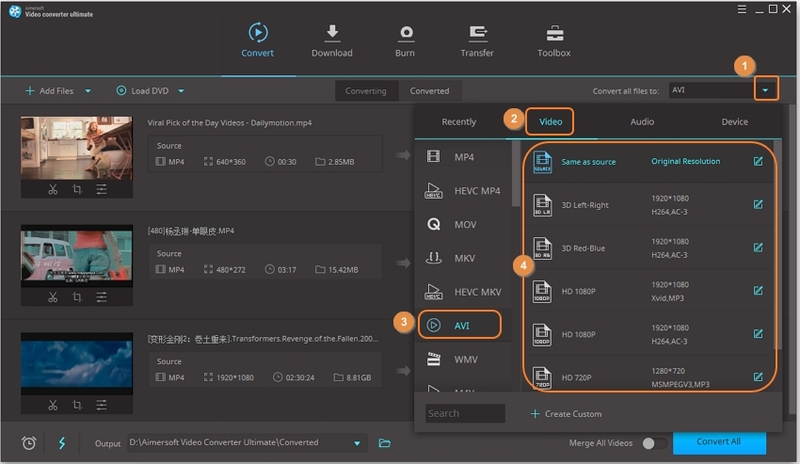 Convert videos in 250+ formats, including MP4, VOB, ISO, MOV, MKV, AVI, MPEG, etc. Burn videos to DVD/Blu-ray DVD with free templates. Zero quality get lost during conversion. Download or record online videos flexibly, including YouTube, Vevo, Vimeo, etc. Edit video easily. You can trim, rotate, crop video, and add subtitle, watermark on it. 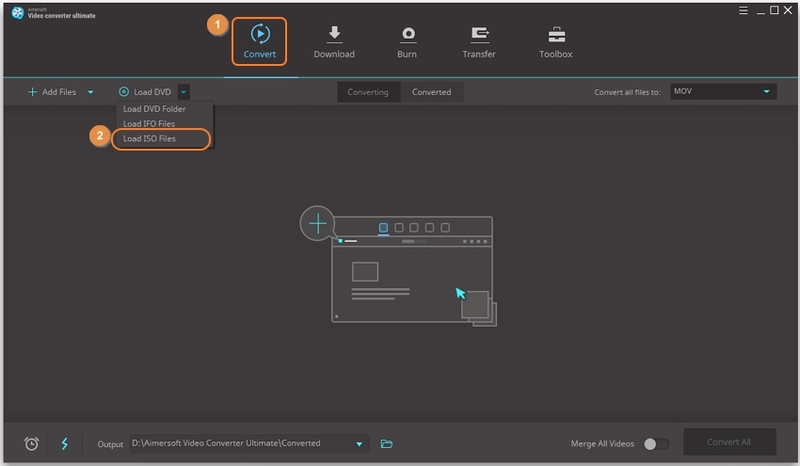 To convert AVI to ISO, Aimersoft Video Converter Ultimate can also fulfil your needs. This AVI to ISO Converter is a multi-functional program which h enjoys the NTSC and PAL format options. You can also adjust the video aspect ratio (4:3 or 16:9). Burning video to DVD is also in the offer list. 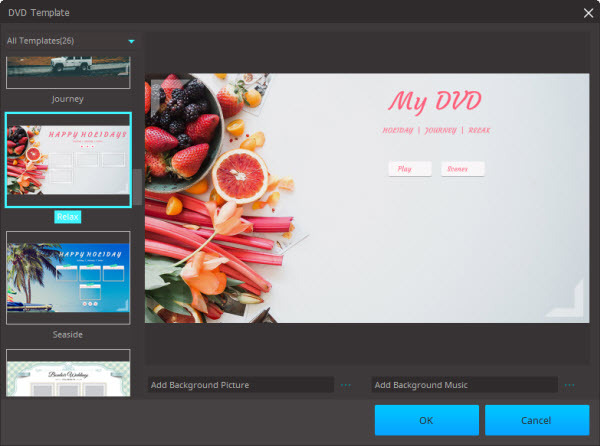 In addition to that, it can also work as video converter (convert video between different video formats), DVD/video editor, DVD Ripper(rip DVD to video or audio files)and DVD Burner(Burn video to DVD). Just click "Load DVD" button to load ISO files. You can see all ISO files as they are displayed in the interface. Multiple files can be added at one go. It supports batch process. From the drop-down list of "Convert all files to", you can select "AVI" under "Video" tab as the output format. Then select a resolution for it. When you have selected the output format, you should select a destination folder for the output file by clicking "Output Folder", you can also let it be the default one. After all these have been prepared, just click the "Convert All" button to begin the conversion. Finially, you can find the converted files in AVI in "Converted" tab in seconds! 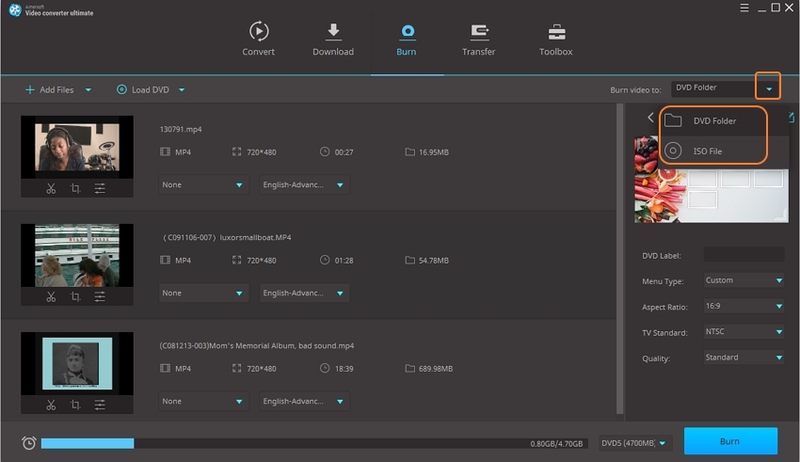 Run the Aimersoft Video Converter Ultimate and go to "Burn" tab. Then click "Add Files" to import your AVI files. The selected AVI files will be displayed in the file list. Tips: If you want to edit your AVI video, just click "Edit" button on the menu bar to or simply use the four buttons at the bottom of the file list to crop, trim, add watermark, plug in subtitles or adjust video effects. Click the Change Template to select a DVD Menu template, and set Background Music/Picture from your local hard disk (optional). Select "ISO Files" as the output files, and select a proper destination folder to save ISO files. Once everything is ready, just click "Burn" button to convert AVI to ISO. For your special needs, you can set the TV Standard (NTSC or PAL), Aspect Ratio (4:3 or 16:9), Video Quality (High, Medium or Low) and DVD Disc Type (DVD5 or DVD9). After above three steps, you can easily get AVI converted to ISO image files on your computer. To play the ISO files, you can employ tools like Daemon Tools or burn the files to CD or DVD. AVI is a video container that was created by Microsoft more than two decades ago, and has become a hugely popular container for SD videos. On the other hand, an ISO file is basically a disc image that includes all of the contents of the disc. It can only be accessed via a disc mounting tool.